about the travel This meeting meeting of art organisations working in the rural context, took place on two locations in the countryside, about two hours driving from Prague. The aim of the meeting was to offer a new perspective on the countryside as a recourse and a place to work of artists and provide a platform for presentations of the projects, developed in rural spaces. The half ironical title suggests the direction of the debate, challenging the ideas about the village life. 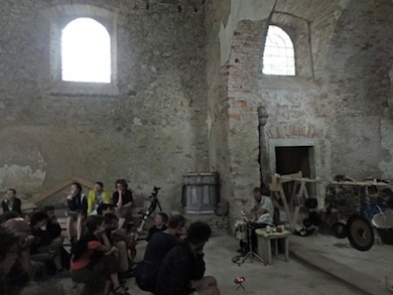 It took place in an old cow stable in Vysočina region (being in the process of re-building into cultural centre Kravin), and freely followed the conference and exhibition 'On a different soil' (2011, Nová scéna in Prague), which circulated around the themes of city gardening, new approach to soil and natural processes in art. 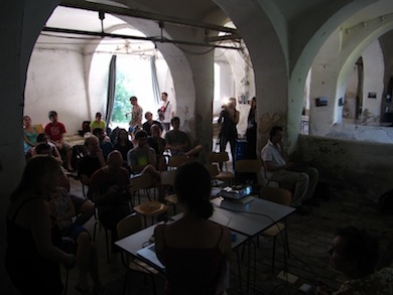 The first day, Friday July 6 afternoon, ten participating organisations from Czech Republic, Slovakia and Estonia, located in the rural areas and on the peripheries, presented their work. In the evening a film was screened with a live sound improvisation. 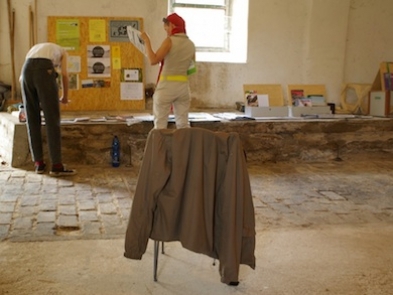 The Bibliobox was exhibited in the stables of the old cow stable, together with material brought by the participating organisations and books and booklets about the local environment, culture and history. 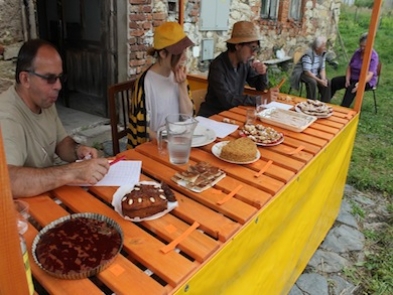 On Saturday July 7 a competition in making the best honey cake took place on the courtyard, of course with elaborate cake tasting. After that a walk across the Spálava hill to Polom was organised. Along the road various artists' interventions were presented as well as a lecture about the history of the area. At Polom the program continued in the St. Kunhuta church, where an additional program took place. Afterwards, people could sleep in the church tower or outside. As part of the event the RurArtMap was published, a map of cultural centers, galleries, activities and ecological organizations, located outside of the main centres, and intervening into the environmental and social contexts. There is a printed edition as well as an online version at http://www.yo-yo-yo.org/mapa (under construction). 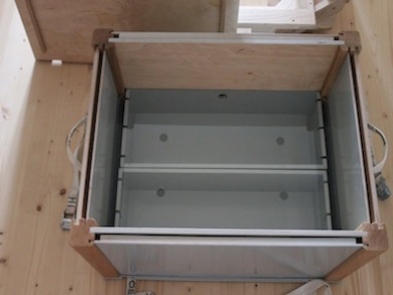 Lenka Delanova of Yo-yo ordered to have a copy made of the Bibliobox by a local carpenter - because one Bibliobox could not longer hold the growing amount of contributions - and personally delivered the two boxes in Berlin for the next exhibition. So from now on a Dutch and a Czech handcrafted box are travelling together! about the host Yo-yo is a non-profit organization started in March 2009 by a collective of artists, curators and organizers. 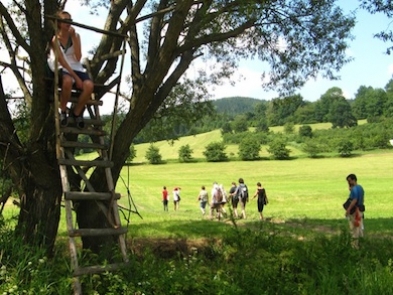 Since 2012 it is divided into two interconnected branches – Yo-yo urban and Yo-yo rural -, based in Prague and Hranice u Malče (Vysočina). The word yóyo according to wikipedia comes from Philippine llokano language, or from Tagalog language, where it meant come-come or return.